We have two games for you this week. Let's get on with it. 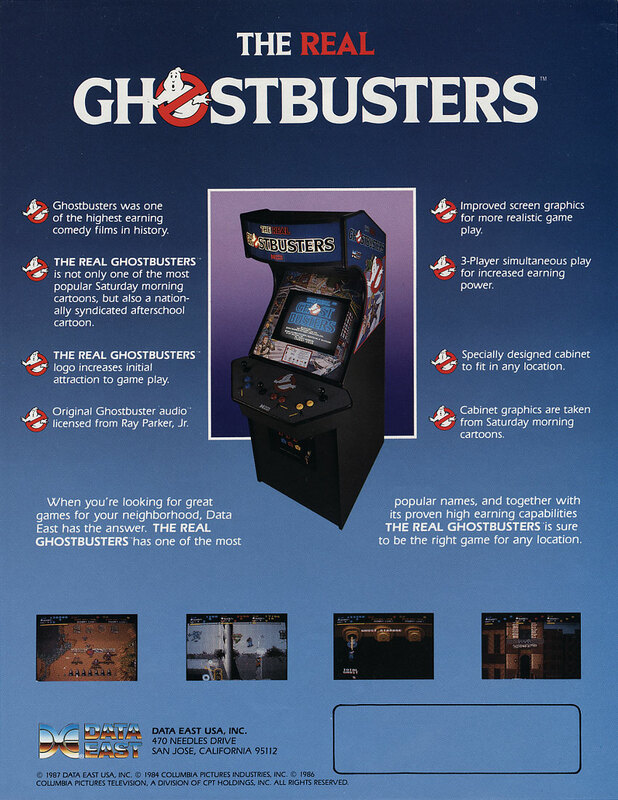 The first game for this week is The Real Ghostbusters. The Real Ghostbusters is brought to us by Data East and released in 1987. 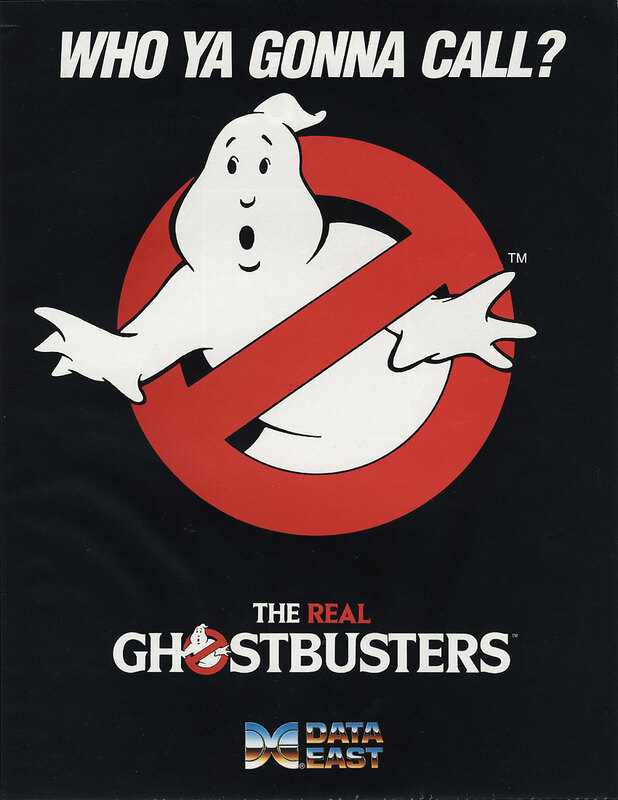 The Real Ghostbusters get is name from the cartoon series of the same name but is seems no effort has been made to identify the characters you’re controlling. There are two versions of the game a two-player and a three-player version. The game consists of ten levels but levels seven, eight and nine are copies of previous levels with more creatures on them. You have with you an energy gun and your famous proton pack. Both weapons are damage the creatures but only the beam from your proton pack is able to capture the ghosts when they have been released. Your proton pack also has a limited usage so it is best not to waste it killing the creatures. Power-ups can be found throughout the levels as well. The power-ups available are stronger basic shots, a force field that makes you invincible for a short time, more beam energy and Slimer who will help defend you from the creatures attacks. Our second game is Lizard Wizard. Lizard Wizard was release in 1984 and was developed by Techstar. Lizard Wizard is a shooter style game. You are a man with a jet pack and a laser gun and your mission is to help free the people caught inside the planet Zyfus. While you are trying to rescue the people of Zyfus you will need to avoid and kill the Lizards. You will also need to destroy erupting rocks before they explode into flames. If the Lizards eat the flames their fire breath will double in length making your life harder. Sometimes you will also find yourself fighting Spydors which you will need to kill before they reach the planet's surface. To rescue the Zyfus people you need to free them from the bubble that protected them from the erupting volcano. Then you need to place them on the surface of the planet. If you are to slow in freeing them the Lizards will capture them and enslave them. The game has sixteen levels but once you complete level sixteen you repeat the level until you run out of lives.